Former All India Mahila Congress general secretary Jarjum Ete on Monday announced that she would be contesting the ensuing Lok Sabha elections on a Janta Dal Secular (JDS) ticket. 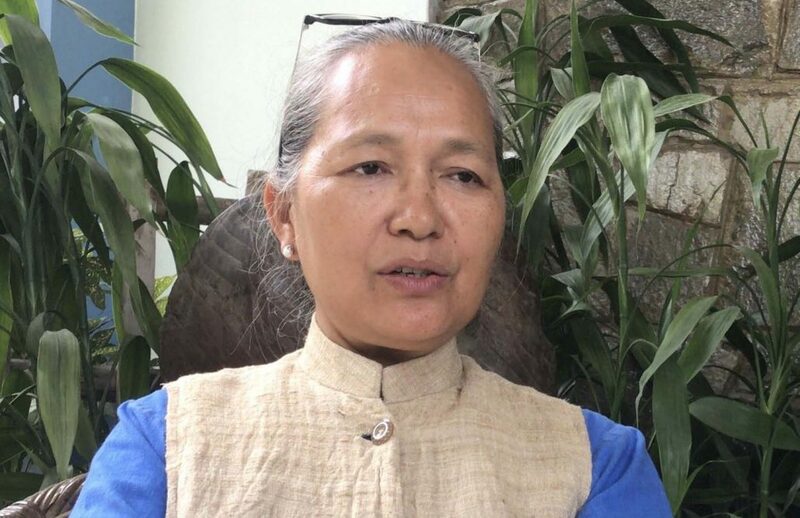 Ete, who aspired for a Congress ticket for the Arunachal West seat, resigned from the party’s primary membership on Friday in the wake of an announcement by Congress president Rahul Gandhi making it compulsory for all former chief ministers to contest the Lok Sabha elections. Following Gandhi’s announcement, former chief minister Nabam Tuki has been fielded by the Congress for the Arunachal West Lok Sabha seat. Speaking to this daily, Ete said parties like the People’s Party of Arunachal (PPA) and the National People’s Party (NPP) approached her; however, she made the decision to join the JDS following her meeting with its chief and former Prime Minister H. D. Deve Gowda. “I wanted to join the PPA as it is a regional party, but I believe it would not be able to provide me the required resources for my campaigning. In terms of NPP, the people here term it like the ‘B-Team of BJP, so, JDS was the final and suitable choice for me. Moreover, it is a secular party,” Ete said. She added that the JDS has assured to provide her a chopper for her campaigning and all other necessary resources for winning the elections. Ete said that the response that she is getting from the people of the State, particularly that from the youths, has been overwhelming. “Winning or losing is a part of elections; however, I am going to give a tough fight for the sake of the young people who have poised their faith on me, for the future generation, and the people of my state. I am ready to commit my next 5 years for the interest of Arunachal,” Ete said. Although the BJP is yet to announce its Lok Sabha candidates, Ete would possibly be up against sitting MP and MoS for Home Kiren Rijiju and Congress candidate Tuki for the Arunachal West Lok Sabha seat.